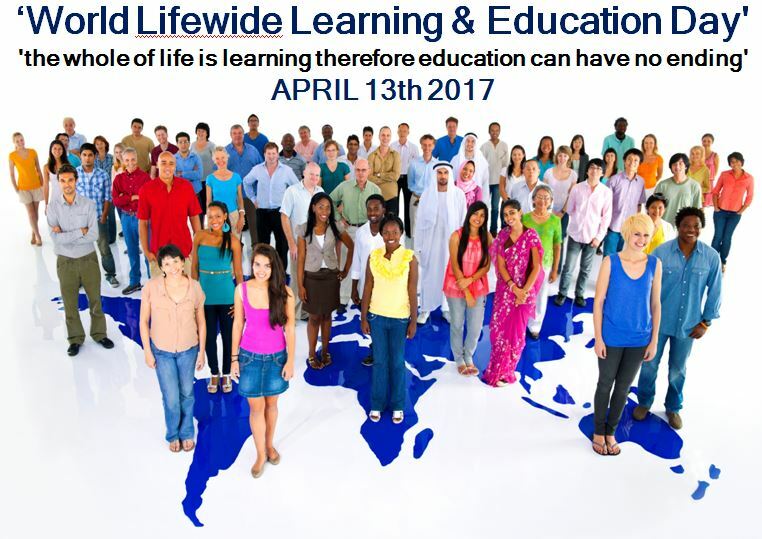 The purpose of Worldwide Lifewide Learning & Education Day is to raise awareness of the significance of the values of lifewide learning and education in a modern world. Our intention is to nurture a worldwide conversation on April 13th. You are invited to participate in the event by sharing your thoughts and perspectives on one or more of these questions on our new Google+ Forum. These small contributions to the collective life of mankind, will be brought together in a special issue of Lifewide Magazine whose purpose is to raise awareness of the fact that we learn, develop and achieve through every part of our life, and who we are and who we become is the result of interpreting and integrating these experiences and the learning we have gained.